all be so lucky to have friends like her. Great friends + tasty food = groovy living! 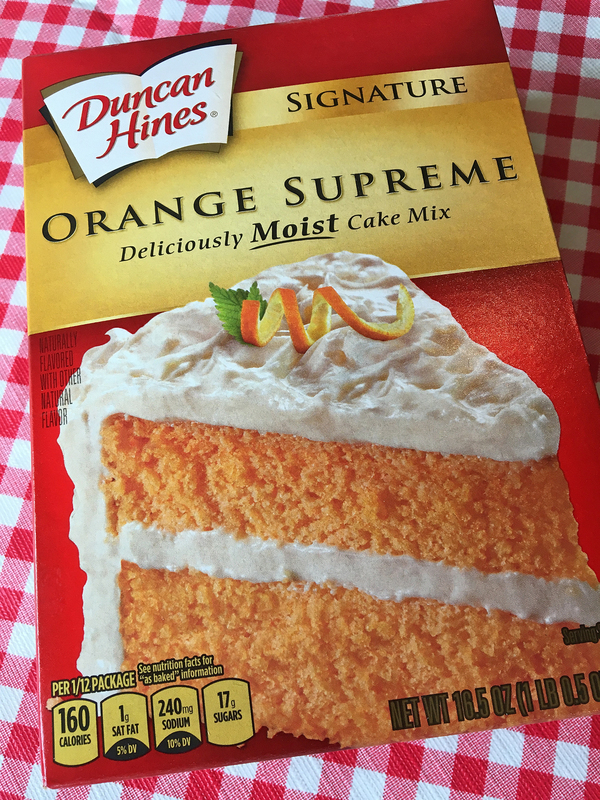 I remember my Mom making this cake and when I hear the Wallbanger name, “orange” always comes to mind. This recipe surely was a favorite and still sits near the front of her cookbook‘s “desserts” section in the exact location where I found it. 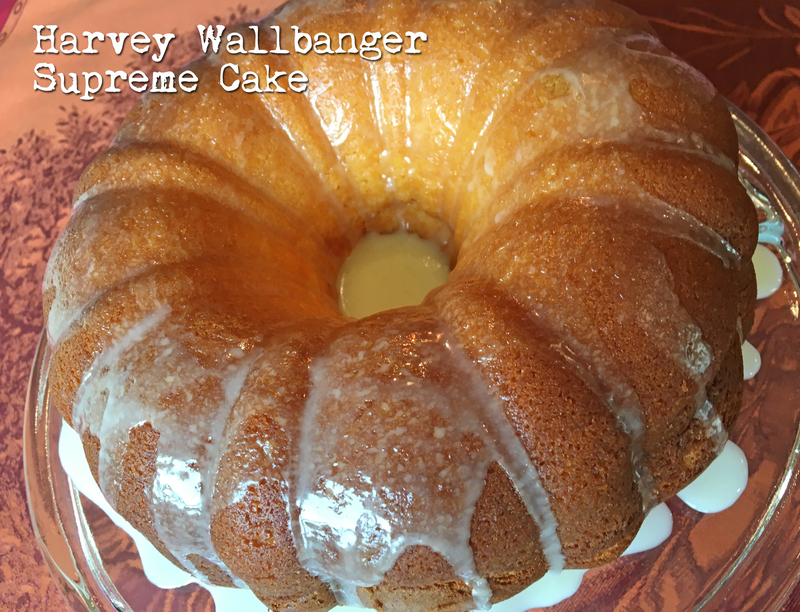 With orange on the brain I decided to research who this Mr. Wallbanger was and how this cake came to be. 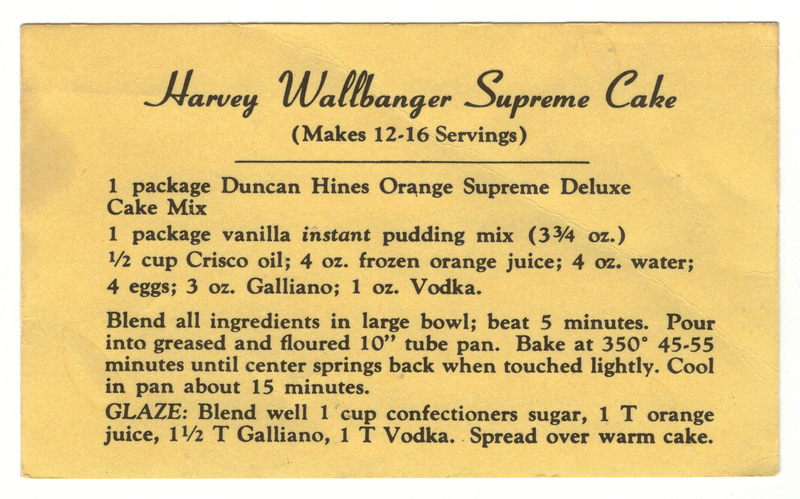 I quickly learned that Harvey Wallbanger wasn’t just a who; it was a what. It’s a drink that jettisoned to popularity during the “me decade” when I spent my wonder years. This drink is made from vodka, orange juice and Galliano, making the Wallbanger a drinky-doo Dopplegänger to the Screwdriver. The retro cocktail has a bit of a mystery surrounding its origin. 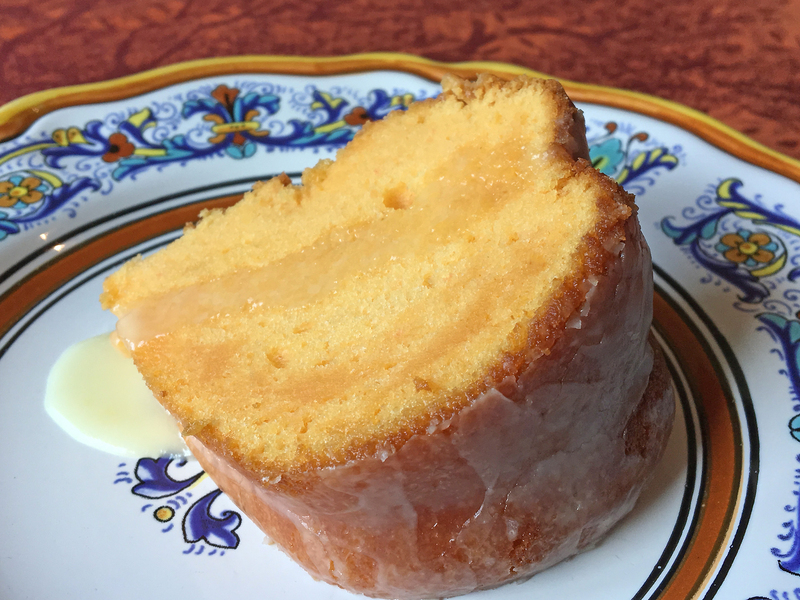 But no matter where it came from we can revel and enjoy the tasty Wallbanger delight whether in a highball or on a plate, in the form of this supreme cake. 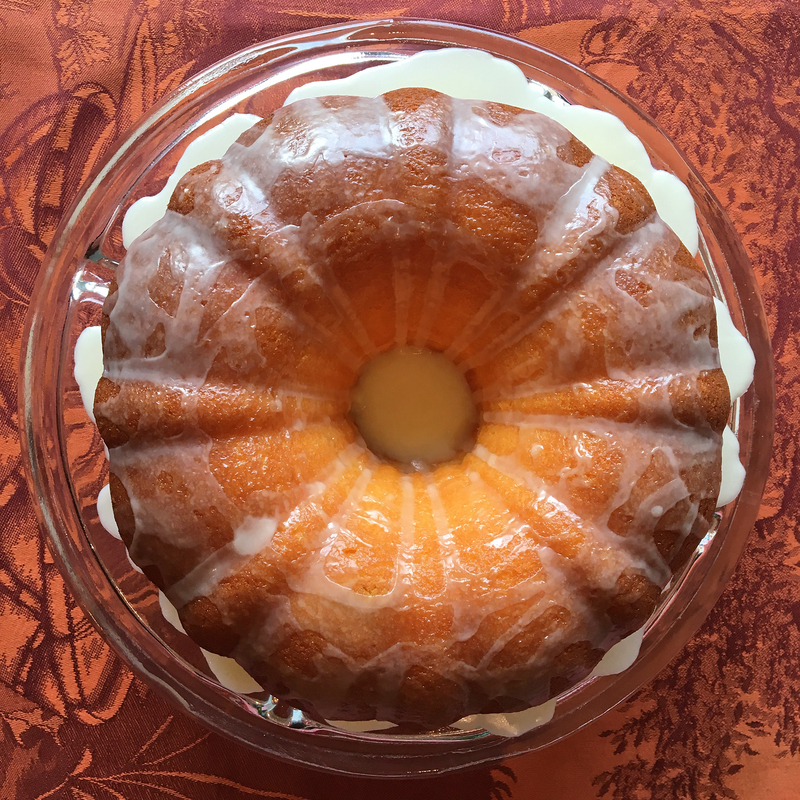 ❤ I’m sure if it was intentional or not that the original recipe below calls for frozen orange juice for the cake then orange juice (frozen was not specified) for the glaze. I followed the directions to the “T”. Just make sure and thaw your OJ before you blend it or you’ll wind up with a chunky cold glob to contend with in the mixer, as I did. ❤ Galliano is a golden yellow Italian liquor that is crafted by a guarded recipe since 1896 that includes 30 herbs, spices and plant extracts. Mediterranean anise, juniper, musk yarrow, star anise, lavender, peppermint, cinnamon, and vanilla will help you along your flavor journey! 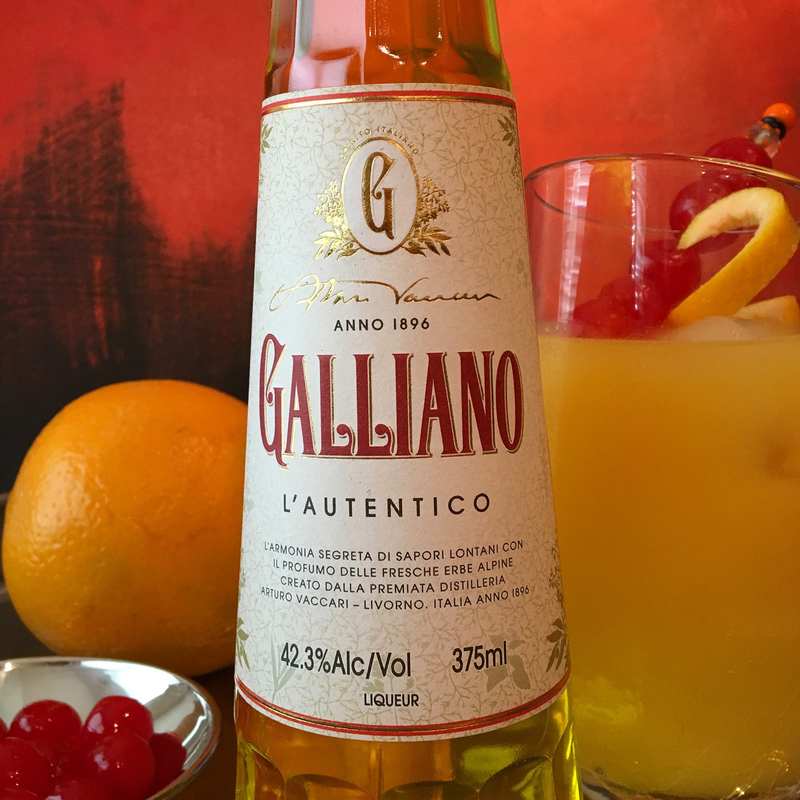 Score an online .PDF of the The Galliano Guide and learn more about this libation that hails from Livorno, Italy. ❤ Did someone say Italy? Check out my other passion site that is celebrating its 10th anniversary this very month. Enjoy For The Love Of Italy! 1. 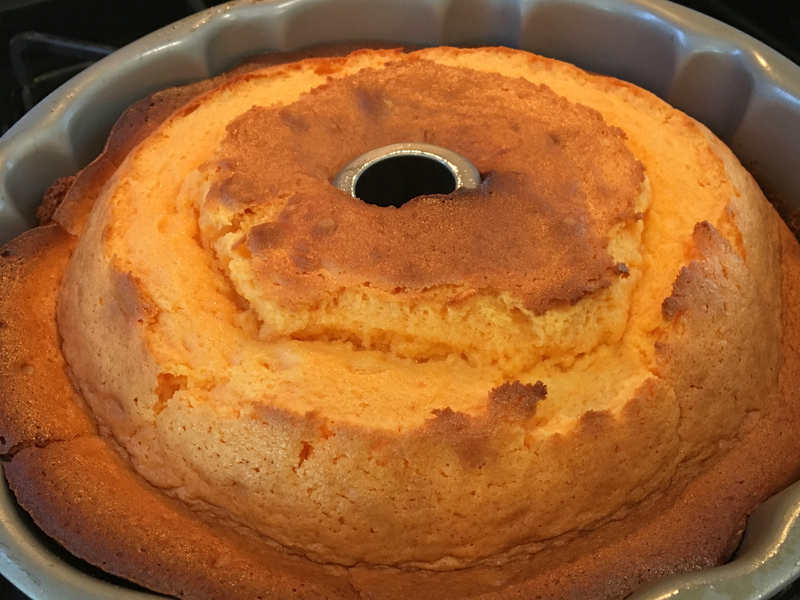 Blend all of the cake ingredients in a large bowl, about 5 minutes. 2. 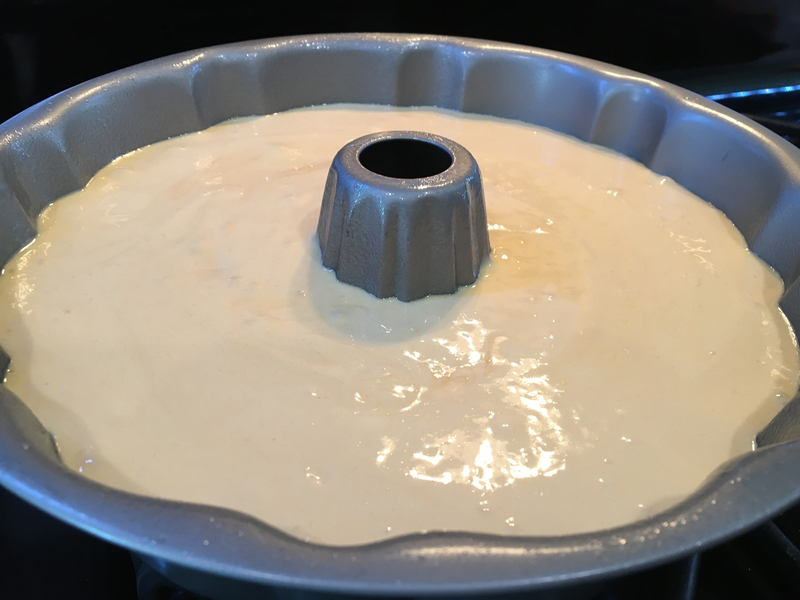 Pour the batter into a greased and floured 10-inch tube pan (bundt pan). 4. Let’s make the glaze! Blend well the above glaze ingredients. 5. 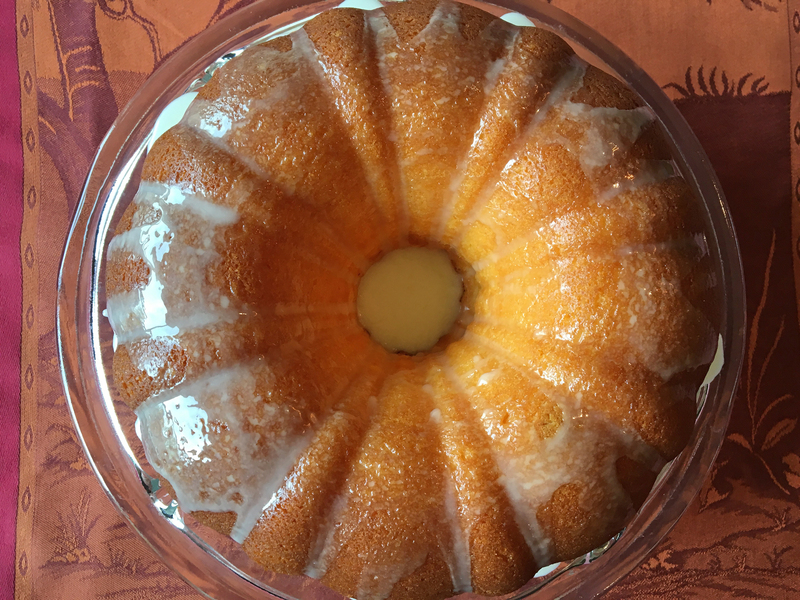 To serve, invert the warm cake onto a serving plate and drizzle the glaze on top. It was at this moment I reconnected with a childhood memory of the gooey greatness that forms in the center of the cake. There was no mistaking that my hand “accidentally” scooped a little extra of the amazing glaze onto my plate each and every time! This cake is best enjoyed warm and fresh. For breakfast or dessert and with or without a scoop of vanilla ice cream. I hope you enjoy this time honored favorite!